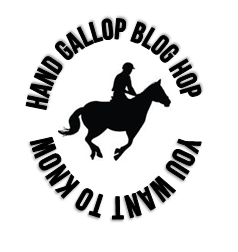 Cob Jockey: Hand Gallop Blog Hop: What's In a Name? Thanks to Stephanie at Hand Gallop for the excellent subject! What's in Connor's registered and stable name? Still my favorite. If he had a Facebook, this would be his profile picture. In the Welsh world, breeders are identified by their prefixes. These prefixes are requested and registered with the WPCSA much like you register a horse. Connor's registered name, Castleberry's Contender, begins with his breeder's prefix, Castleberry, which is the last name of the man that imported his sire. His sire's prefix is not Castleberry because he was not bred by Lisa. His name is *Tuscani Dundee, with the star to mark the fact that he's imported. As far as Contender goes, I'm not sure what the exact story behind it is, maybe Lisa will chime in. I know there was a C theme going among the full siblings - Cadence, Comrade, Celtic Knight, Contender, that's all the full siblings I can remember off the top of my head. I was DEFINITELY involved in picking his stable name, because my trainer forced me to pick one. I was content to call him Contender, after all, we already have a McPherson in the barn, why can't my horse's stable name be three syllables? But my trainer thought it was too long, so when I hadn't yet picked something out two months after getting him, she started calling him Teddy. He was still Contender/Teddy here, January of 2012, his first ever ride in the outdoor arena. When I heard that, I went "No way! We're already going to have problems getting taken seriously because he looks like a stuffed animal, I don't need to encourage that by calling him Teddy!" and called his breeder for inspiration. She said they'd been calling him Connor since he was little, and I chose the -or version because it means "wolf lover" in Irish (rather than the -er version, which means "hunter") and we are a sled dog family. Funny side note, my boss's third kid was born the month I got Connor, and he named his kid Connor. I've never told him, because in our almost entirely male office, we tend to give each other lots of crap over everything, and I'm sure I'd never hear the end of that one. I don't talk about my horse much in the office, but when I do, he's Contender. Ahahahaha! I'd forgotten about Teddy! May I never forget again. Teddy! Cool enough story. Funny that your bosses kids name is Connor. Yes, Teddy! We narrowly avoided disaster with that one. Aww Teddy!! You're right, it would have been ridiculous, but it also would have been sooo cute. I want to talk in a silly voice just thinking about it! Haha, cute, but not badass! We're badass eventers! We are an interesting crew, that's for sure. You know how the tech field goes! Teddy. It's like Paddy. So cute it's revolting! Ha, Teddy. 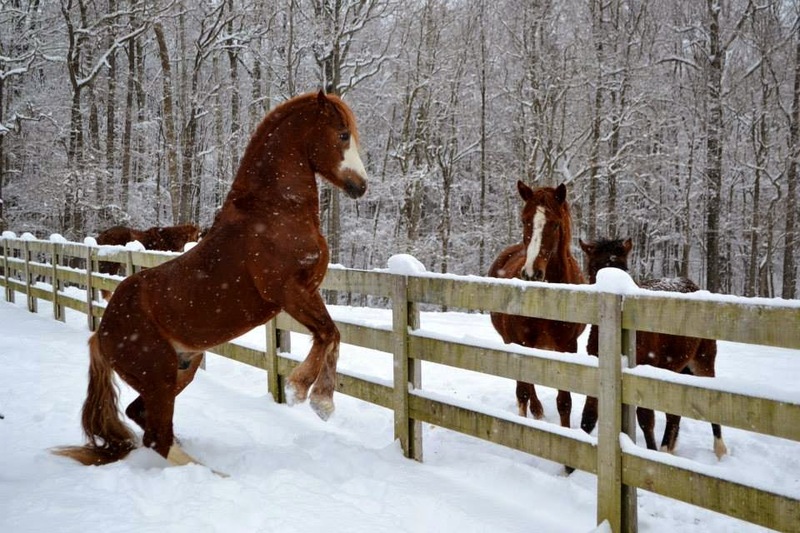 I love that picture of Connor's sire showing off, what a hunk.